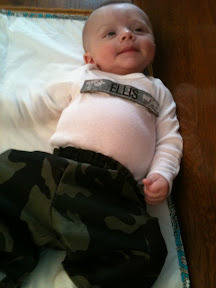 This weekend was a Drill Weekend for the Ellis family. That means Tyler had to go to Eleanor yesterday and today. 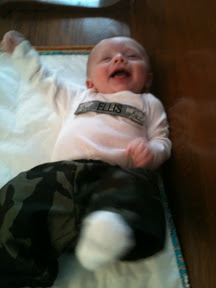 Tyler's cousin Emmy made Tristan his own Army outfit. This month is the first time it has fit. Here are Spc. 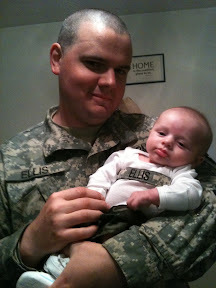 Tyler Ellis and General Tristan Ellis. Tristan is a 7 Star General! PS I know there is no such thing as a 7 Star General! That's why mine I so special, lol. 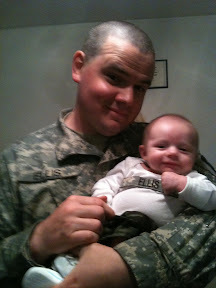 Look like the little mister and his Dad have about the same haircut!